 Alleghany Partnership for Children also participates in the Nurturing Parenting Program. The Nurturing Parenting Programs are a family-centered trauma-informed initiative designed to build nurturing parenting skills as an alternative to abusive and neglecting parenting and child-rearing practices. The long-term goals are to prevent recidivism in families receiving social services, lower the rate of multi-parent teenage pregnancies, reduce the rate of juvenile delinquency and alcohol abuse, and stop the intergenerational cycle of child abuse by teaching positive parenting behaviors. The Nurturing Parenting Programs are designed to meet the family’s needs based on their parenting strengths and weaknesses. Nurturing Parenting Programs are designed for each of the three levels of prevention, commonly recognized in the fields of social work, mental health, and medicine: primary, secondary and tertiary. Dosage is a term used to indicate the number of sessions or length of a program. Dosage is also related to the three levels of prevention. For more information about the program, please call us at (336) 372-2846.